She was born on October 25, 1948 in Modesto Ca. She leaves her family behind to follow her. Her husband and love of her life of 34 years, Carroll McGruder. Her adored children, Eric and his wife Michelle, Shawnee and her husband Tim, and Holly. Six doted on grandchildren, Prisda, Spencer, Taryn, Jacob, Harrison, and Onyx—Who all thought their Nana made the sun rise. Her siblings all stood vigil by her bed the hours before her homegoing. They are Janet Jones, Joy Haney, Beverly Davies, John McDonald, Mary Wilson, and Julie Short. She was preceded in death by her parents, Travis and Margaret McDonald. Her step mother, Lois McDonald, remains. She had dozens of nieces, nephews, cousins, aunts, and uncles that all felt like her favorite, because she made them feel that way. 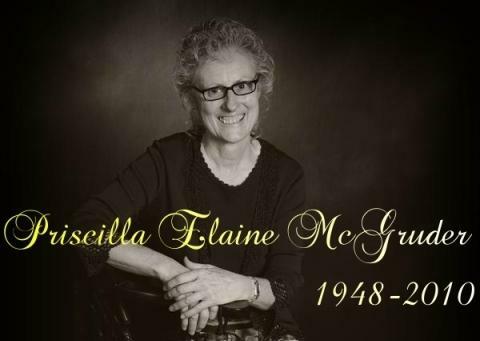 She leaves behind countless friends and people who admire her for her talents and unsurpassed anointing. There will never be another woman like her. You count yourself blessed to have been touched by her in this short span of life.